“The night is young and so are the men. What are we selling here, Kraft? A night in Vegas? 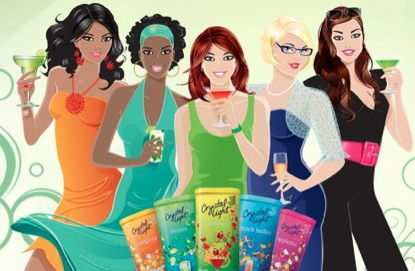 Let’s put the 4-inch heels, mini skirts and soirees aside for a look at what is really being sold to you under the label of Crystal Light. Natural and/or artificial flavors – (According to Neurosurgeon Russell Blaylock, the food industry uses words like “natural flavoring” to disguise MSG. Dr. Blaylock’s book, Excitotoxins, The Taste That Kills provides a well-researched look at how chemicals in our food damage the body and especially the brain. BHA – Preservative that affects the hormonal system and neurological system, alters behavior and is linked to cancer. Crystal Light says right on the package, “Natural Lemonade flavor with other natural flavors” but notice how they attempt to deceive you with the size of the font, NATURAL LEMONADE. Aspartame Poisoning or Multiple Sclerosis? Listen to my interview with Cori Brackett. She was misdiagnosed with MS, in a wheelchair and discovered that the artificial sweetener in her Diet Coke was the cause. There is nothing natural about Crystal Light. I believe that Crystal Light should be banned because it contains at least four ingredients that are linked to neurological problems and cancer. 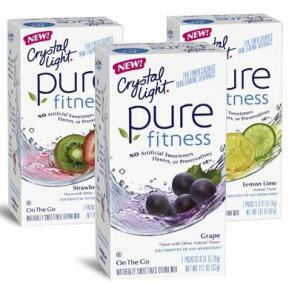 Do not be fooled by Crystal Light’s marketing of a “Pure” drink. “No artificial sweeteners. 100% attitude. 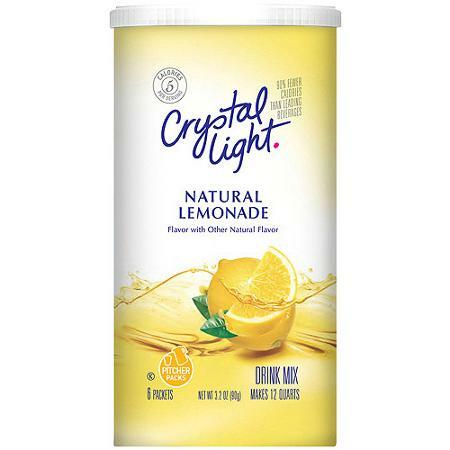 Truth: The ingredients in Crystal Light are not natural. When I hold nutrition classes and consult with individuals who are experiencing ill health, stubborn weight problems, chronic migraines, and autoimmune flares we find that removing toxic processed foods and beverages, like Crystal Light, can bring great improvements in health and wellness. I encourage you to drink purified water. The best water to drink is water you filter at home. I use and recommend AquaSana. It will filter the impurities yet leave the minerals in place and it is affordable. This link will give you a 30 – 50% discount and more information.